In November my family took a two-week vacation to New Zealand. The Alpine valleys and snow-capped mountains quenched my spirit. But without question, the highlight of the trip was attending the semi-finals of the Rugby League World Cup in Auckland. England beat Tonga in a 20-18 nail-biter that depended on a difference of inches and seconds. 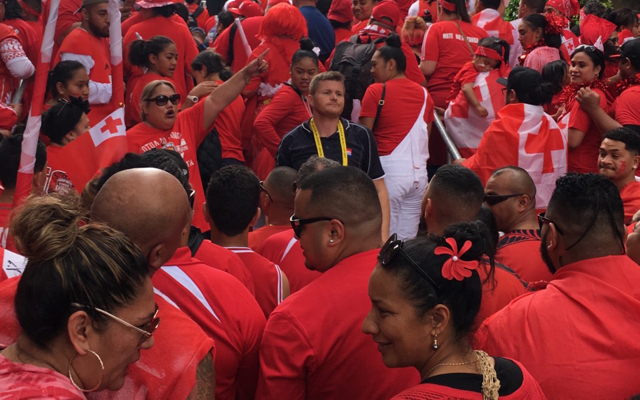 Out of a capacity crowd of over 33,000 people, 30,000 were Tongans. My royal blue golf shirt stood out alarmingly against a sea of red and white. Fortunately, the crowd was upbeat and friendly. One man even gave me a Tongan flag when I told him I knew nothing about rugby and had come for the experience. The crowd may have been friendly, but the stadium staff clearly were not ready for its size. Bag-checkers at the gates bottle necked the line, which pressed from below as more and more people jostled for a place on the stairs. I think his motives were good. The image from a drone’s camera likely would have proven the problem. Instead, he came across as overbearing and disrespectful. He created the impression of someone accustomed to getting his way by shouting and threatening. 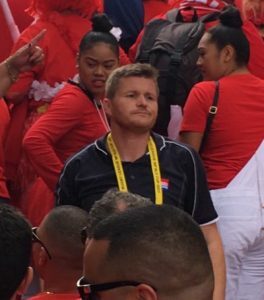 Perhaps you can imagine how a group of native Pacific Islanders felt about such behavior from a uniform-wearing representative of the British Commonwealth. I didn’t have to imagine. “He just wants to feel important,” a man behind me said to no one in particular. As much as I wanted to interpret the official’s actions charitably, the man’s interpretation made sense. His interpretation has followed me home. Church leaders face the same predicament challenging that stadium official. Sometimes we act out of poor motives. And sometimes, even when we are seeking our members’ good, they question our intentions. How many times do we act out of a desire to feel important rather than out of genuine care for those we lead and serve? 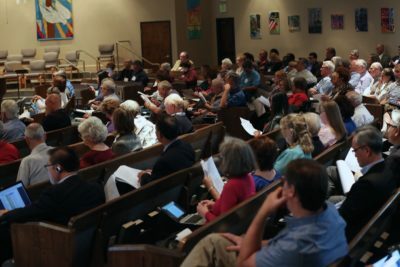 The pull can be subtle: making the comment that turns the conversation in a committee debate; winning over congregants from a neighboring church (or resenting the church that draws ours away); and, of course, the ever-tempting game of comparing Sunday attendance, annual budgets, or campus improvements. But as Paul says, succumbing to the pull “[does] not show good sense” (2 Cor. 10:12). But even when we set ourselves aside, pastors learn quickly that having good intentions does not guarantee that our congregants will trust our intentions. After all, we function in a culture that assumes that being important is, well, important. Until we have earned the trust of those we serve, even the most emphatic voicing of good motives may come across as paternalistic at best. The same is true for presbyteries. We are charged to facilitate and resource the work of our congregations and ministers. But we are also charged to oversee that work. And as free as we may be from playing favorites or harboring grudges, congregational leaders will, at least occasionally, question our motives. What, then, are we to do? We can certainly live in a manner that is “above reproach” (I Tim. 3:2; 5:7). Paul speaks in Second Corinthians of living “in such a way that no one will stumble because of us, and no one will find fault with our ministry” (6:3, NLT). But only a few chapters later, we learn that the Corinthians did find fault with Paul (2 Cor. 10-13). No matter how scrupulous our lives, detractors shouldn’t surprise us. Having pure motives is not enough. Neither is communicating our concerns in ways that our hearers will receive. Yes, the stadium official could have done better. And yes, Paul did become “all things to all people…for the sake of the gospel” (see I Cor. 9:19-23). But even Paul did not expect everyone to respond favorably to his efforts: “that I might by all means save some” (9:22; emphasis added). At some point, our best motives and our best efforts will fall short. 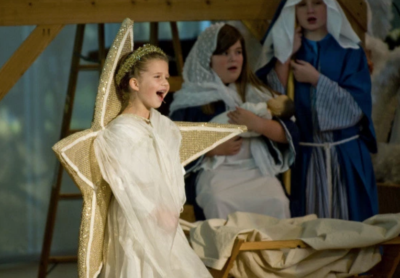 That’s one of the reasons I love the message of Christmas. For even the Incarnate Word of God—the one whose message most deserved to be heard—was disregarded and ignored (John 1:10-11). The most important One in time and space gave up all claim to “feeling important.” Christ set aside his divine prerogative in order to act solely for our benefit (see Phil. 2:6-8; Mark 10:45)—whether people listened or not. And because he did set himself aside, he not only established our eternal well-being. He also received God’s eternal glory (Phil. 2:9-11). And Scripture tells us that we, too, shall reign with him (see 2 Tim. 2:11-12, and much of Revelation) if we persevere in his path of self-emptying love.